The imaginary federation of worldwide dogs, is, well, imaginary. However, it is a one-of-a-kind attempt (right here) from the collective consciousness of global dog population. The representative here is the famous Yorkshire Terrier, well-known as one cute dog who ranks high in human mind interpretation. In fact, this interpretation ability has been the key reason why the Yorkie (originally from Scotland) approaches you to explain the dynamics of dog-human interaction through personal experience. 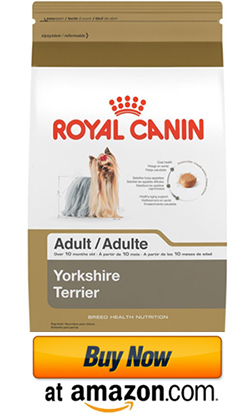 You would come to know about several interesting Yorkshire terrier facts, forwarded to encourage you in being part of the dog-human network. If you are already a part of the network, welcome to the knowledge that it exists. The seed of the early beginning was a major global event. In human world, it is known as the industrial revolution. Workers from Scotland began to come to England to work in the mills. The textile mills, factories and the coal mines began to open up to accommodate a huge work force. Accompanying these Scottish workers, were the early ancestors, the Clydesdale terrier (or Paisley terrier).The rat population in the factories were sufficient to provide for food. Humans, tired with rigorous work at the factories and mills needed friends to listen to their stories. The early terriers became best friends with their humans. Through human involvement, matchmaking between the Clydesdale terriers and the English toy terriers was arranged. Some say, Skye terriers were also involved in these earliest matchmakings. 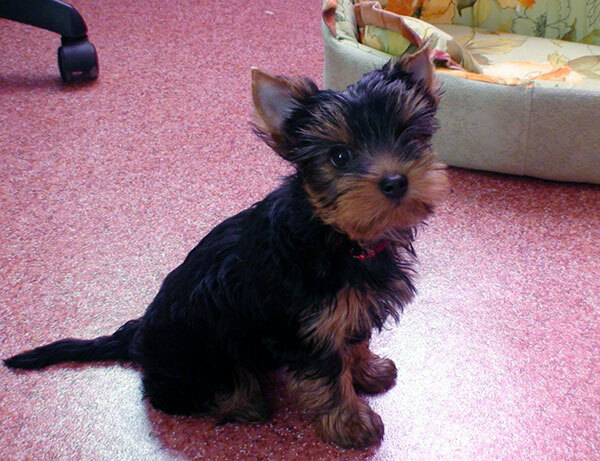 The Yorkshire terrier was thus born. 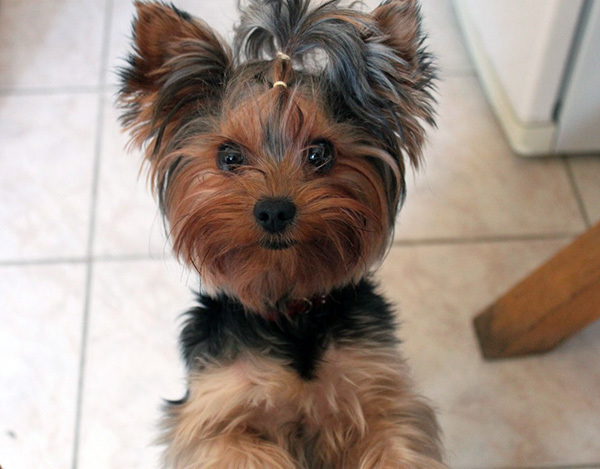 The yorkies were new to the world, but were fast to adapt. They were not big dogs like the Clydesdale terriers. However, they had the personality of big dogs, protective of their territories. In fact, they can be protective to the extent of being neurotic. In the memory archives of Yorkie facts, the name of Huddersfield Ben (born 1865) passes on from generation to generation. In fact, it was due to his efforts, that the breed got the official name from the humans. Some humans, advanced in the network, are privy to this early history. The small size plus feisty nature of Yorkies create such a paradox magic on humans, that many of them develop friendship bonds. The record of the smallest dog (before 1995) belonged to a Yorkie called ‘Thumbelina’ (8 inches long and 5.5 inches tall). They are small dogs (no more than 7 pounds), and so they can enjoy the privilege of being often lifted from the ground. They are brave souls, and can pick up a big dog to fight if it feels threatened of its territory. Training must start early; otherwise, Yorkies are too obstinate to pick up lessons. However, there are exceptions to this rule also. 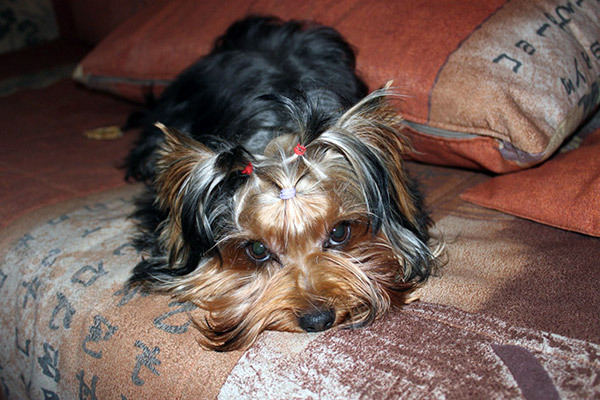 If the owner is paranoid, the vibes pass on to the Yorkie also who does not stop barking at every minor noise. It is important for the human to be unafraid, to have a calm and relaxed Yorkie. The imaginary federation requests humans to avoid paranoia. The friend of a Yorkie is a good soul, and the good need not fear. Hopefully, these facts about Yorkies serve the subliminal purpose of revealing some very important information. The imaginary Dog Federation is ever thankful to you for reading and considering the suggestions here. You can easily be friends with Yorkies, but please do not encourage unethical breeders. With them, dogs do not get love and respect, and the only way to stop them is to avoid transactions with them. The Federation condemns the abusive vibes, and places a strong case of international peace through compassion towards animals. September 14, 2013 is going to see the largest gathering of all Yorkies of New York City to one spot. That is going to be the Yorkieday.